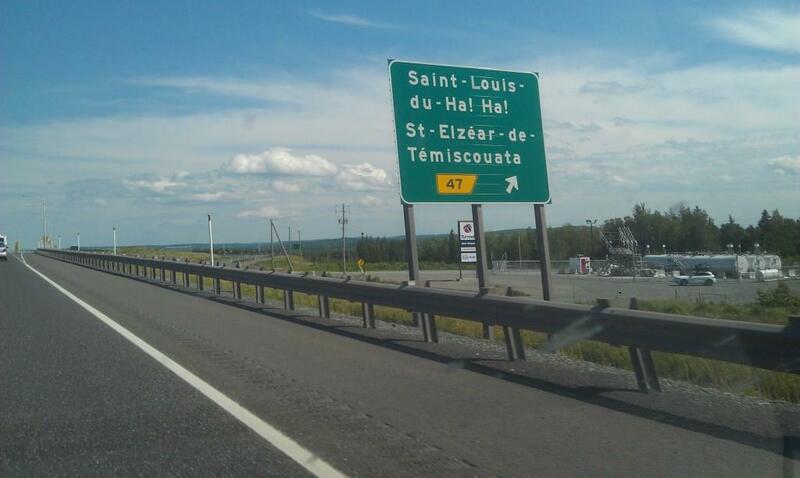 I love a town with a sense of humor! The new 4 lane was a harbinger of what might come to pass in the Adirondacks. The cleared area on either side of the road was wider and there was an 8 foot fence to discourage moose from getting on the roadway. If they do get there, the fence has one way gates so the majestic creatures (with red eyes that don’t shine brightly at night and bodies conveniently located at windshield height of most cars) can get back to safety. I arrived late in Fredericton and didn’t see much of the city, just drove to the university (that offers low priced accommodation to travelers in the summer) and caught up on email (something I plan to stop doing as soon as I finish the things I didn’t finish before I left). I don’t plan to linger here, although I would love to see the Dali they have in the Lord Beaverbrook (yes, there are a LOT of things in Canada bearing his name, from here all the way to Victoria, BC) Art Gallery. This “sleepy provincial town,” as it is referred to in the Lonely Planet guide, is lovely, but I am determined to spend time in Cape Breton on this trip, so I’m off to Wagmatcook to get acquainted with Mi’kmaq native culture (all I know is they were transported by the colonials to Newfoundland to put down the Beothuks, which they did by effectively killing them all…but that may not be the current historical narrative). Only 555 km to go today!